Betting on the Kentucky Derby is an opportunity for you to place a wager on a winning horse in one of racing’s premier events. 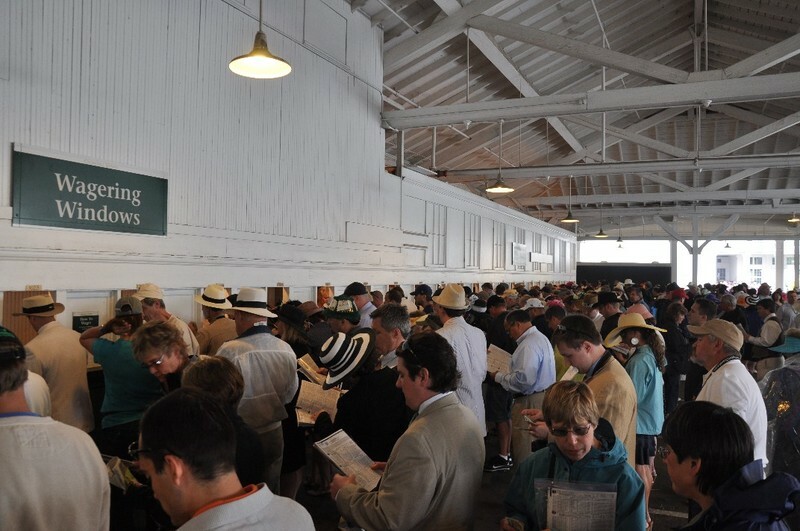 High profile horse races attract new bettors who are trying to figure out the seemingly endless varieties of bets available to them. Kentucky Derby betting online allows anyone, even first time bettors, to access the tools to research the Kentucky Derby’s horses and jockeys then make a smarter wager without ever having to travel to Churchill Downs. Within the United States, there is a strict rein on gambling. This means that all betting racebooks that Americans access are usually licensed for American use only. If you live outside of the U.S., do not worry. There are worldwide betting pools that will allow you to place exotic horse wagers without being a United States resident. Within the U.S. the style of horse betting they use for the Kentucky Derby is called parimutuel betting. This means that there is no “house” or bookmaker. Instead, all of the money that is bet throughout one pool will stay in one pool. By default, for a major event like the Kentucky Derby, this means that the payouts for winning are extremely high. Money Line Betting, the most common of all betting types for any sports, not just horse racing. Exotic Wagers are harder betting types and options for you to consider, but definitely popular given the excitement they bring forwards to the table and the huge potential winnings too. Pick 3 and 4 bets is all about combination betting on the horses, but be sure to know your betting before hand. Win Bet, one of the straight wagers available. These of course are just a seldom few; if you go within these pages and links, you will be guided within a list of betting options, derby betting tips and more when it comes to betting on the Kentucky Derby. For those that are lucky enough to get Kentucky Derby tickets, there are several options for wagering at the Kentucky Derby. This means standing in line for the old-fashioned betting clerks or using the high tech self-service wagering options throughout Churchill Downs. Again, everyone is betting on the same pool of money whether they are at Churchill Downs, online, or at a casino that is hosting Kentucky Derby betting. Around the time the Kentucky Derby begins, a decision has to be made about where you will place your bet. If you know that you are not going to be at Churchill Downs, remember that betting on the Kentucky Derby is entirely legal online for U.S. residents. These kinds of services will not work if you are from the wrong country. For this reason, you do not need to try and figure out if they are legit. You simply checkout the security certificates and see if they allow Kentucky Derby wagers. If this website is flagged, your internet service provider will send you a notice, block you from the website, or give you red flag from your browser window (doubtful it will happen). In addition to both sections above, you should consider some further information about online vs. offline derby betting in today’s day and available resources. Also, keep in mind that all of the Kentucky Derby racebook websites will have free WAP/PDA, mobile, and smartphone access. This is usually around the login area of the homepage. In some cases, a website will have a separate app for the iPhone that is found in the Apple Store. Otherwise, use you smartphone to browse the website as usual. Mobile betting is also an essential feature of in-play or live betting, but you will not see much of this with the Kentucky Derby. Live betting is a wager that can only take place while the event is occurring. This is not a good type of betting for the Kentucky Derby by default of the timing of the race. After all, it is known as the “fastest two minutes in sports.” This means that by the time you place a bet, the race is over; hence, it is best for sports such as NFL, NBA, and football soccer, and many others. When you are ready to start using a web site to place a Kentucky Derby bet, entering your password and username is easy enough. However, if you are from the United States, be aware that you will be asked to verify your location. This is due to strict laws that regulate the American gambling industry. One of the ways that they will enforce this is by requiring the website where you place your Kentucky Derby bet to ask for a specific type of initial deposit. This means that before you can place your first wager, you will need to deposit at least $20 into your betting account using a VISA credit card. If there is a conflict between the address you list in the login and the VISA address you use for billing, you may hit a snag. This is easy to resolve with either a call to their customer service line, or using an alternate payment method such as Money Gram or Western Union. For this reason, be sure set up your first Kentucky Derby betting account in advance in case you run into some initial trouble. Once you log onto your first wagering account, you will soon see that there several betting terms that you may not be familiar with. In general, a new gambler should stick with the straight wagers such as placing a bet on a single horse in the win, place, and show categories. For those gamblers looking for Kentucky Derby betting that is more advanced, the exotic horse wagers are definitely unique territory. Examples of exotic wagers include the exacta, quinella, trifecta, and superfecta bets. For these reasons, your best line of defense is learning about each type of horse bet and practicing them before you place a hefty wager. The fact that most websites allow you wager only $1 per bet gives you a chance to practice on other horse races before the Kentucky Derby betting opens.